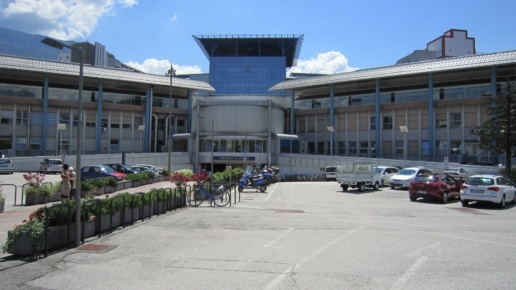 The Radiation Oncology Department of Santa Chiara Hospital (Trento, Italy) has been treating patients for more than 55 years. Many relevant radiotherapeutic techniques are available: external beam radiotherapy, intra-operative RT (IORT), and brachytherapy (HDR, LDR wires and seeds). 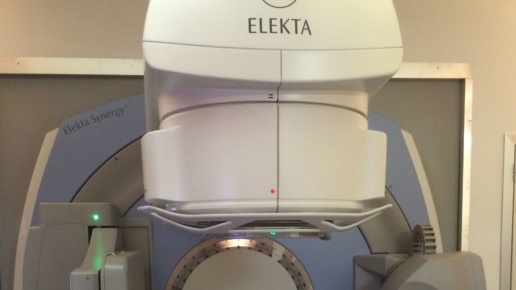 The equipment includes two linacs with the capability of Intensity modulated Radiotherapy (IMRT), two linacs with the capability of Guided Radiotherapy (IGRT), Stereotactic Radiosurgery / Radiotherapy (SRS/T), Intensity Modulated Radiotherapy (IMRT), Volumetric Arc Therapy (VMAT), one CT-simulator, and two brachytherapy units. 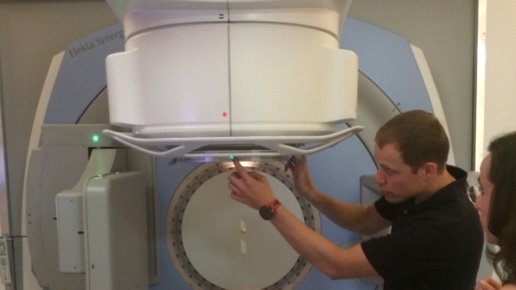 The department is staffed with 9 physicians and 16 radiographers, and is supported by the Medical Physics Service which is staffed with 10 medical physicists and 5 dosimetrists. It treats over 1500 patients per year and 70% of the total treatments are IMRT and VMAT. The Radiotherapy department hosts local teaching courses and observation trainings on a regular basis with an emphasis on IMRT, VMAT and prostate brachytherapy. Gloria Miori, Andrea Martignano and their colleagues from Azienda Provinciale per i Servizi Sanitari in Trento, Italy analyzed the use of the IQM System for real-time beam delivery control. 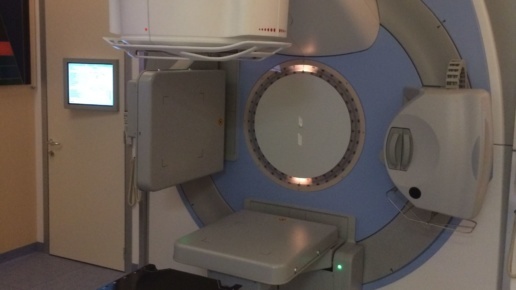 They evaluated the IQM's beam attenuation and it's ability to detect VMAT delivery errors. They concluded that the IQM beam attenuation can be considered homogenous in both X and Y directions and that the machine-specific beam attenuation percentage could be used to rescale treatment plan dose for clinical IQM use. They noted that the IQM shows appreciable features in detecting real-time errors and in time-saving QA. Download the full poster that was shown during the AIFM Conference in Perugia, Italy in February 2016.